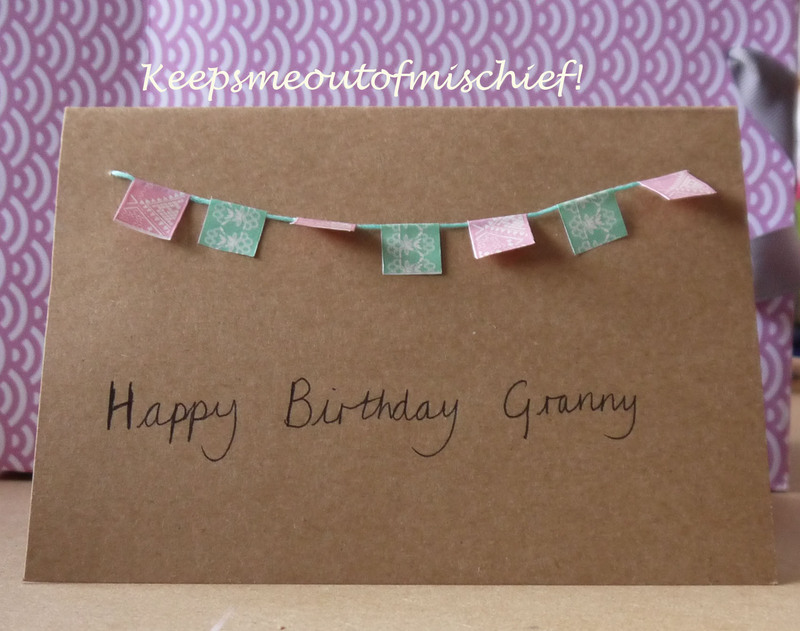 Granny’s Birthday Card | Keeps Me Out Of Mischief! Picture the scene – I get home from work on the evening before my mum’s birthday and think ‘I must make her a card this evening before I go to bed’. I wander to my crafting area and put a few bits out ready to create and hear a small boy at the door telling me he’s hungry. I toddle off to the kitchen to sort him out and promptly forget all thoughts of being creative! The next evening I blast into the house like some kind of whirlwind – fortunately my husband is home to look after little B, but my mother’s arrival is imminent and I have to do something quick – thank goodness for washi tape!